Why is this? Isn’t the american dream to gain wealth and more stuff? Doesn’t “stuff” make you happy? This quote is by Peter Walsh and really hit the “nail on the head” with my thoughts. For the past year I have been feeling more “overwhelmed” by all of our CLUTTER. I thought it was because I had my second child…which comes with more toys, more bottles, just more stuff in general. So about six months ago I decided to really dig in to our junk and purge anything we didn’t need. This was the beginning of my journey to live more simply (LESS IS MORE). I can’t tell you how enlightening it feels to drop a load of junk off at the salvation army. But why is this? I started to dig deeper as to why I have this deep drowning feeling when everything is disorganized and piled everywhere. YESSSSSSS! this is it! With life comes stuff of course, but what I noticed was my “stuff” was interfering with my mood, my happiness, my focus, my MIND and what’s really important in life. When my stuff is disorganized so IS MY MIND! So here’s where my journey to live a simpler life begins. Let me backtrack a minute. After my hubby and I married almost 10 years ago we bought our first home. It was a sweet 1700 sq foot home. Six years later we braught our first child home to it and suddenly felt like we were outgrowing it. So, we did what every other american does, sells the starter home and moves on to a bigger home. 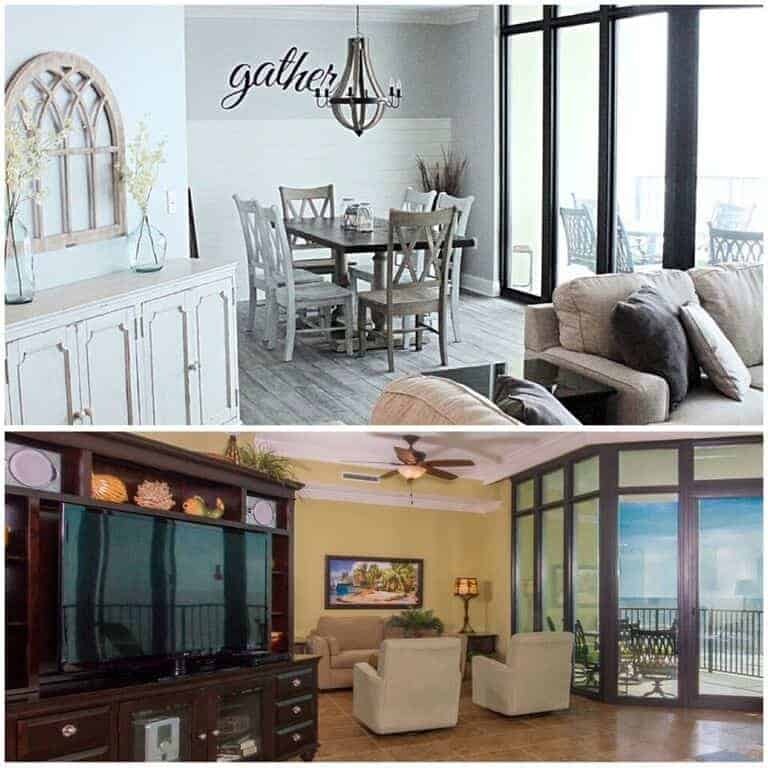 We were thrilled when we purchased the home we are currently in at almost 3100 sq feet! We almost doubled our square feet from our last home! I was so excited to have all this space, and yet I quickly became overwhelmed. What I haven’t mentioned is that when we sold our “starter” home, we put 80% of our stuff in a storage unit and rented for a year while we looked for another home. We were thrilled to move in to our new home so we could finally be reunited with all our stuff again. This is when my feelings of “drowning in my stuff” began. This is also where my thoughts started to migrate towards, LESS IS MORE. It’s interesting to look back at other generations and see patterns. My grandparents, “the greatest generation,” grew up with nothing, lived with a little more than nothing and saved everything. My parents, “the baby boomers” quickly had 100 times more stuff than their parents had, built bigger homes than their parents could ever have dreamed of, and accumulated wealth faster than ever before. Then comes my generation, “the millennials.” I read somewhere that we will be the first generation to be “worse off” than the the previous generation. It seems the american dream was capped by our parents. My point in all of this: was there a coincidence that our grandparents, who had nothing, were called the “greatest generation?” Does the down spiraling start when we suddenly started attaining wealth and things? There might be something to this view of LESS IS MORE. I have seen a shift in mentality in my generation. There is a movement toward tiny homes, minimilastic living, clean simple eating, and “back to the basics.” Why is this? I’m assuming because the reality of the “bigger the better” isn’t all its cracked up to be. As you add more material items you ALSO add more cleaning, more distractions, more things to keep track of. So where do you start with all this information? I have sold quite a bit of furniture that we did not use and don’t ever really see ourselves using. I’ve started a “capsule” wardrobe. If you don’t know what this is click HERE. It has changed the way I view shopping and I LOVE it. Note: I have more than 37 pieces, but I’m slowly moving towards that magic 37 number. I’ve started creating more “meaningful” spaces in order to eliminate Junk zones. My Board and Batten Mudroom is one example. Like I said, it’s not a huge start, but it is a start. I plan to continue on this journey, although it might take a few years. 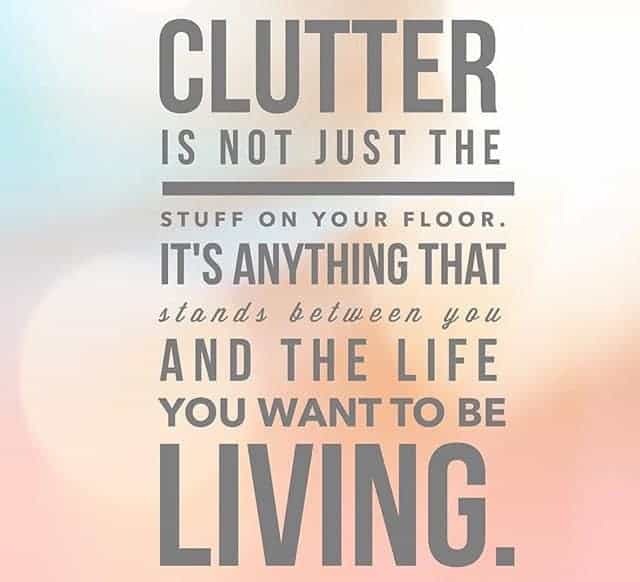 Do you have “clutter” that stands between you and the life you want to be living? My answer to all of it; LESS IS MORE. Ahhhh! This is so good! I am excited to see what wisdom you have to pass along. I know I need to purge my home in order to streamline my life. It is counterintuitive, but less actually does make us more efficient. Anything that eliminates decision making eliminates unnecessary mental fatigue and added stress. I\’ve thought about doing a capsule wardrobe, but I probably need to start with just plain tossing or donating a lot of stuff… Clutter really does impact us. I\’ve yet to have a garage sale with all the junk I tell myself could be worth something to someone, and so it perpetually sits!! If you haven\’t heard of it, you need to read Essentialism by Greg McKeown. I actually listened to it on audible and finished it in less than a week. It is about being a minimalist in all areas of life, but would definitely have a ton of useful info to apply to this area. He argues that we don\’t need to try to do more by being efficient and productive, but rather we need to intentionally pursue less in order to be most effective. Thanks so much Kaci, that means a lot that you like the post. I started this blog on a whim, and sometimes I think my ideas might just be crazy. So this is comforting that you actually like it! I hope your doing well. Keep in touch! We are on this path as well. Well, the simpler living, at least. I\’ve also been meaning to clean up the literal clutter for so long now. It\’s driving me nuts, but I keep putting it off because I don\’t know where to begin! You are absolutely right that it stresses you out! Paige Knudsen writes about this on her blog – look under the Decorating heading for a video. I am a Baby Boomer and downsized to a smaller, more custom home ten years ago. This was one of our best decisions ever. Less stuff is freeing. Also, The Nester blog writes about being a cozy minimalist. Good read, too. wow I’m going to check this out. Thank you so much for the feedback. I’m moving more towards a minimalist mentality myself.